Each year Uzbekistan forces an estimated 1 million public-sector workers, including teachers, nurses and others, to harvest cotton. In Uzbekistan, the Solidarity Center supports civil society efforts to combat forced labor in the country’s annual cotton harvest. 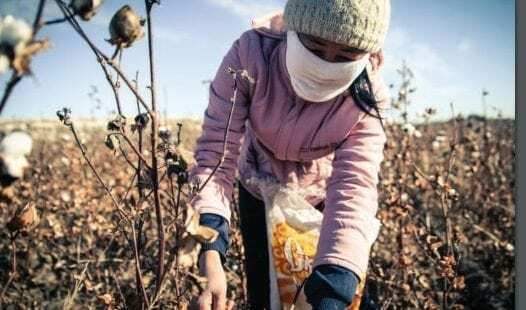 Cotton is one of Uzbekistan’s chief exports, and each fall the Uzbek government forces an estimated 1 million doctors, teachers, nurses, students and private-sector workers to harvest cotton—the largest case of state-organized forced labor in the world. Those who refuse to pick cotton face termination, harassment or loss of social benefits. Reports by independent monitors find that some educational institutions require students to sign statements indicating their “voluntary” participation in the harvest and threaten to expel those who refuse to participate. The government also forces farmers to grow cotton in a system that traps them in poverty as large profits from cotton sales are funneled into a non-transparent fund controlled by a few government officials. Independent human rights defenders risk their lives to document forced labor in the country’s annual cotton harvest. For instance, Uzbek labor activist, Nuraddin Jumaniyozov, was arrested and sentenced to nine years in prison on charges of involvement in “human trafficking.” In fact, he was educating laborers and migrant workers about their rights. While in prison, Jumaniyozov was tortured and denied medical attention. He died in prison and the government pressured his family to conceal his death for several months. End all forced labor of children and adults in cotton cultivation and harvesting. Implement and enforce the right of all agricultural workers to form, join, and participate in democratic labor unions of their own choosing, without interference from the government or employers. Allow independent journalists, human rights defenders, individuals and organizations to monitor cotton labor without fear of reprisals, coercion or intimidation. Abolish mandatory production quotas for farmers and grant them autonomous management of their fields.